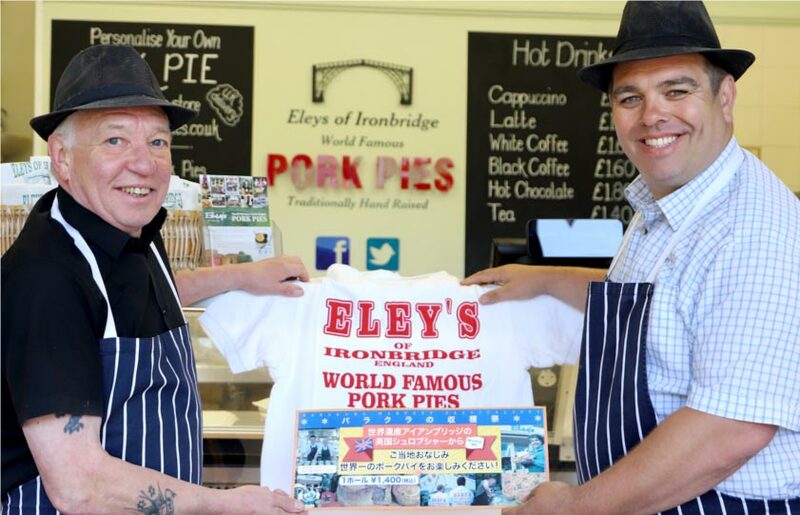 Our very own Richard Eley went to demonstrate how we make, bake and eat our pork pies in Japan. He appeared at the Barakura Garden’s at Tateshina in Nagano Perfexture north-west of Tokyo. It is the only specially created English Garden in Japan and is owned and run by the Yamada family who opened it in 1990. Richard attended the Barakura Gardens annual Harvest Festival. He and Michael our shop manager was invited after members of the Yamada family visited our pork pie shop in Ironbridge while on a visit to England to attend the Chelsea Flower Show. He said traditional pork pie makers are becoming scarce: “All our pork pies are hand raised which is a dying art. We believe it produces one of the best pork pies you’ll ever have”. He did not give his Japanese hosts the recipe for our pies, that is a closely guarded family secret but he will be showing them the finger points of the pork pie consumption: “We want them to understand the etiquette of eating a pork pie”. “That it’s not to be just eaten whole. It eaten cold, cut into slices and then eaten with salad and pickle”. Richard believes pork pies are a whole new experience for Japanese consumers. Next StoryPlease leave us a review. Find out how to add a review here.